Don Rose is Director of UNC’s Carolina KickStart Program, a life science and biomedical commercialization program within the UNC TraCS Institute. In addition, he is an Adjunct Professor at UNC’s Kenan-Flagler Business School. Prior to that, he held senior leadership roles at a number of life science startups: Metabolon (metabolomics, RTP), Deerac Fluidics (nanoliter dispensing, Dublin), and DataCentric Automation (high-throughput crystallography, Nashville). Before that, he was a general partner with Catalysta Partners (now Hatteras Venture Partners), a seed stage venture fund specializing in information technology and biotechnology start-ups. 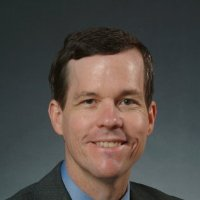 During this time, Don was co-founder and CEO of Phase Bioscience, a biomaterials start-up, spun out of Duke University. 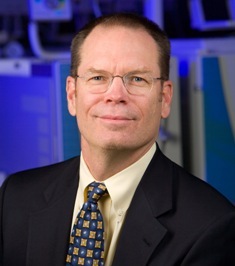 Prior to Catalysta, he was co-founder and VP of Research and Development for Cartesian Technologies, a leader in instrumentation for DNA microarrays and nanoliter dispensing. Prior to Cartesian, Dr. Rose was a research scientist at Glaxo Wellcome (now GSK) where he developed and promoted a number of technologies in bioanalytical chemistry, combinatorial chemistry and high-throughput screening. Prior to GW, Dr. Rose developed various aspects of capillary electrophoreses instrumentation at Hewlett-Packard Laboratories. Dr. Rose received his Ph.D. in Analytical Chemistry and BS in Nutrition from the University of North Carolina. He has published eight papers, two book chapters, and holds six US patents. Cam Patterson is a clinician-scientist who has served in multiple leadership roles. He is currently Senior Vice President and Chief Operating Officer of NewYork-Presbyterian/Weill Cornell Medical Center. In 2000, he was recruited to the University of North Carolina to lead its cardiovascular research institute. Having achieved consistent success in this role, Dr. Patterson was appointed chief of cardiology in 2005. Under his leadership, the division improved the quality and efficiency of clinical services, enhanced and expanded patient access, and reversed a budget deficit to become profitable. Dr. Patterson’s success as division chief led to his appointment as the founding physician-in-chief of the Center for Heart and Vascular Care, a clinical care center that takes a comprehensive approach to treating cardiovascular diseases. After receiving his medical degree from Emory University, Dr. Patterson served as a resident and chief resident in internal medicine at Emory University Hospital. He then completed a research fellowship in cardiovascular biology at the Harvard School of Public Health and a clinical fellowship in cardiology at the University of Texas Medical Branch, Galveston. He also holds a master of business administration from the University of North Carolina Kenan-Flagler School of Business.